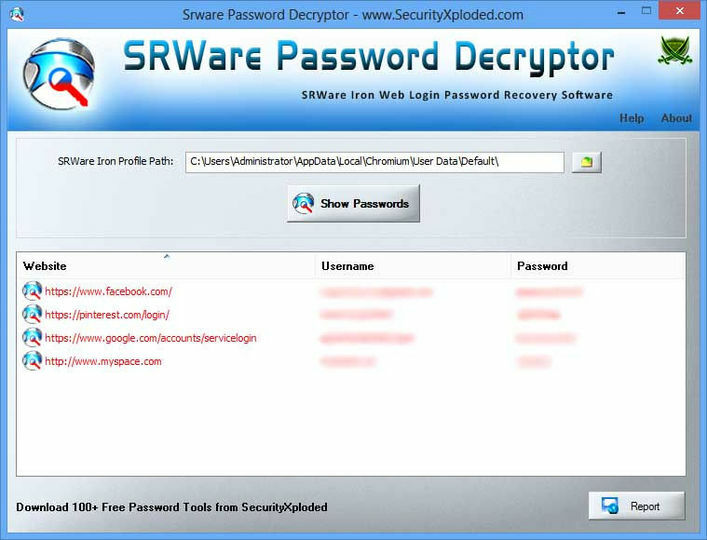 SRWare Password Decryptor is a tool that can decrypt and retrieve passwords stored by the SRWare Iron browser. It automatically detects the default SRWare Iron profile path for the current user and recovers all the stored login passwords. Web browsers store passwords for easy login, but these passwords can be lifted with applications like this one. Runs on all Windows versions from XP to 8.